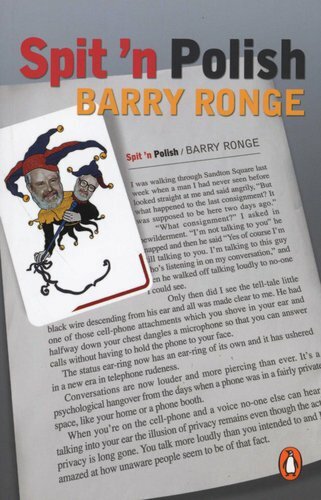 Barry Ronge is one of South Africa's longest-serving and most beloved columnists. His Spit 'n Polish column in the Sunday Times provides South Africans with some much-needed repose on a Sunday morning. For the past 19 years, Ronge has given us his take on life in South Africa and all its foibles, from crooked politicians to the criminal underworld, from high-class hookers to cats stuck up trees - all written with humour and verve. 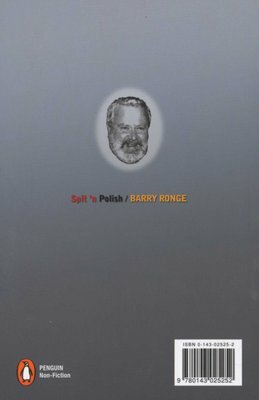 This collection represents the best of the hundreds of columns written down the years and are grouped into themes that reflect some of Ronge's favourite topics such as pets, the peculiarities of the English language, and, of course, Sandton kugels.